I guess technically it doesn't say don't use a lower rating. Still for me, I'm not going to buy a $50k car then cheap out at the pump to save a couple bucks. True. Still interesting they've revised the manual. Now I'm wondering if people out there have been experienced problems that prompted the updated. 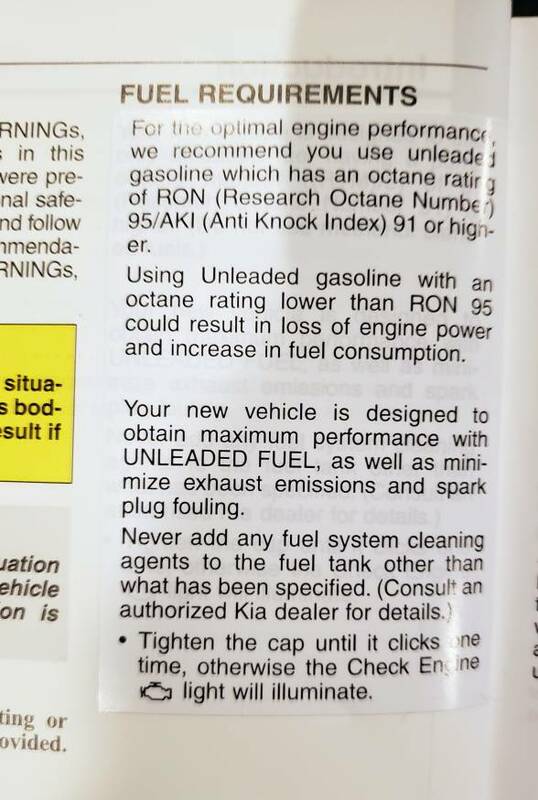 Kia most likely published the power ratings using premium fuel. And will derate with lower octane fuels. I'm also curious with how much of a drop in power with 87 octane? This is what I have been harping on about for the last month and peeved that such simple info has not been available. Looks like the mystery is becoming clearer now...but still no official numbers to confirm anything.